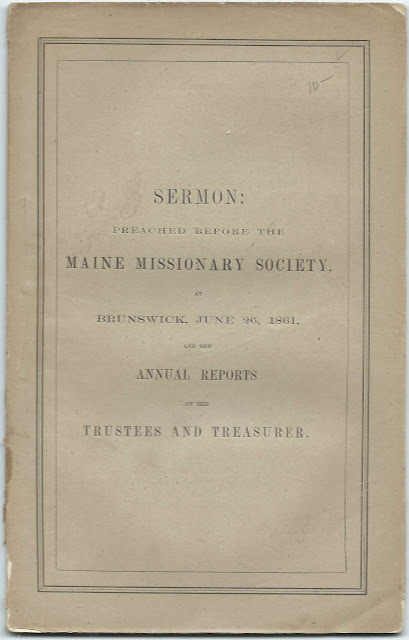 Included in a booklet entitled Sermon Preached before the Maine Missionary Society, Brunswick, June 26, 1861 and the Annual Reports of the Trustees and Treasurer is a list of those life members of the Maine Missionary Society who were recognized that year. Images of the two pages of Life Members recognized and a transcription of their names and residences appear at the end of this post. 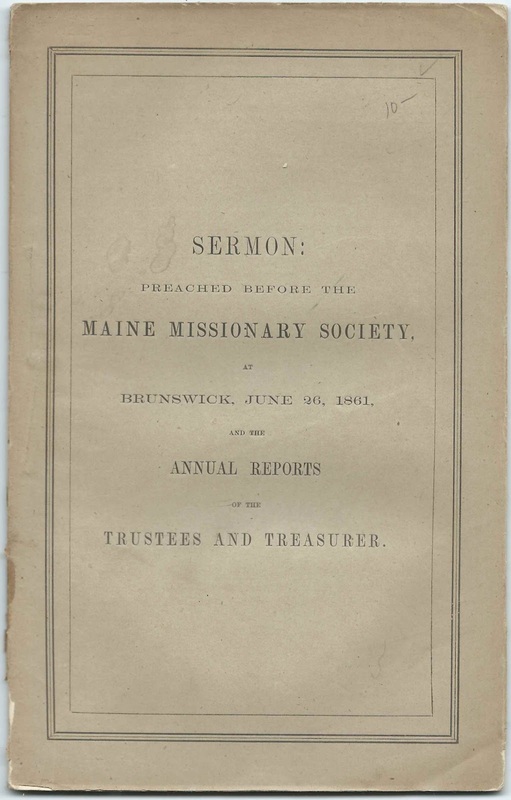 The booklet, which measures about 9" by 5-3/4", was printed by Stevens & Sayward in 1861 at Augusta, Maine. 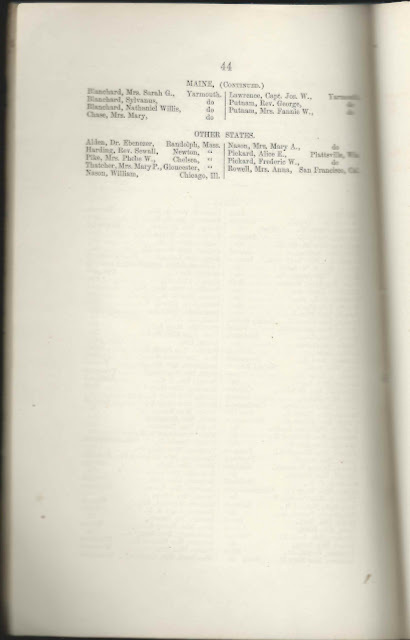 Because the entire booklet is provided online by the Yale University library, I've scanned only a few images. 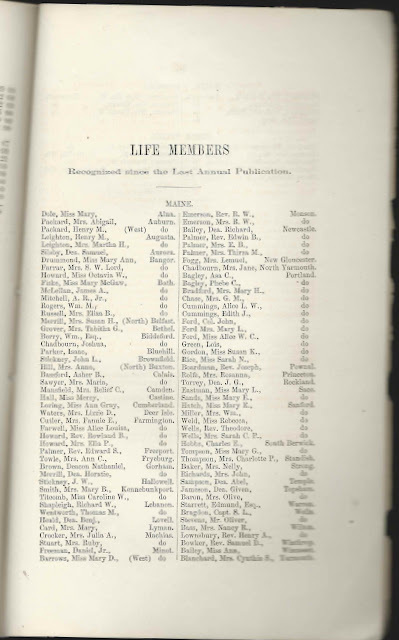 List of Life Members Mentioned, in Alphabetical Order by Surname - given names within a specific surname may not be in alphabetical order.